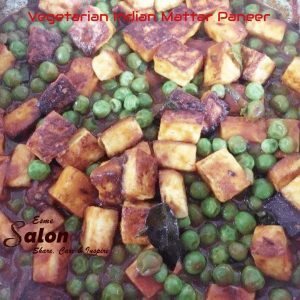 Vegetarian Indian Mattar Paneer, a type of curd cheese, is a vegetarian north Indian dish consisting of peas and paneer in a tomato based sauce, spiced with garam masala. It is often served with rice and an Indian type of bread. 1 green chili, finely sliced. 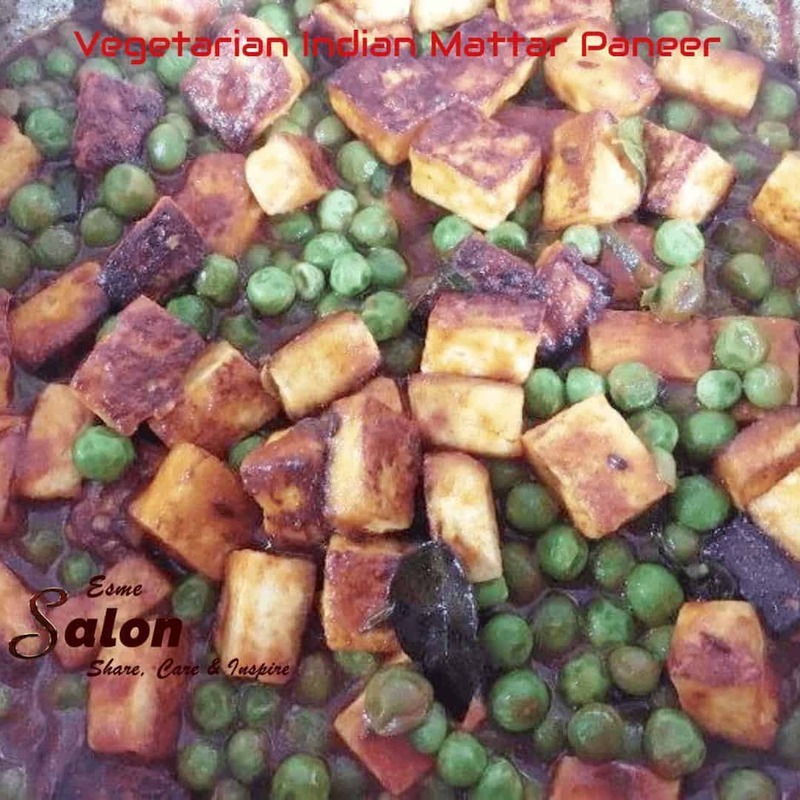 Heat some oil in a pan and gently fry the paneer until lightly golden brown. Remove from the pan and drain on a paper towel. Heat some oil in a pot and add the Jeera seeds, curry leaves and cook until they start to lightly brown. Add the chili, tomato paste and all the spices, stir to combine. Cook till the peas are soft, couple of minutes. Add the paneer cubes and toss allowing the paneer to heat through, before removing from the heat. Before going vegan, I made this dish a lot. There was no chili, curry leaves or sugar added. There were several additional spices not listed here. I made it for a summer party, for the buffet. Luckily, I had prepped additional spices, because I had to make more. It was the first dish consumed.